← Can you ever truly write a memory? I moved to Tenerife a few days ago for a new teaching job, and have been struck by something amazing. I can’t even really explain what it is, but I shall try to put words to feelings in this piece. Objectively speaking, there is nothing great about this arid Spanish- colonised island of the African coast. 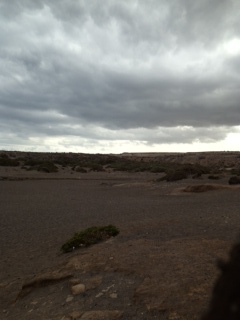 The landscape is desert with volcanic mountains. The coastline of volcanic black sand as dark as coal dust makes a temporary home to the Irish, British, Germans & Russians who wish to turn themselves dark crimson momentarily before returning to their natural milky complexions. So why is it that I feel so drawn to this arid rock filled with tourists? This question is a difficult one to answer. Could it be as simple as the warm comforting sun? The soothing sound of the waves caressing the sooty sand? In some ways maybe it is as simple as this. Maybe this is all I really need to feel content. 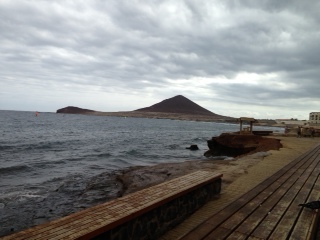 Though there is more to Tenerife then just the relaxation of a coastline. There is a mentality. There is a way of being that the Spanish lend themselves to which I have yet to find equivalent to elsewhere. An attitude of contentment and belief that a slow and relaxed lifestyle is the way to live. ‘Manana’ is one of my first words in Spanish. A word that literally translates as ‘tomorrow’ but in practice translates as ‘sometime in the future’. As frustrating as this is when you are trying to get an internet connection or the gas sorted out in your apartment, it still has a certain endearing quality to it. There is no stress here, no hustle & bustle. The offices close at 2:15pm for the day. Everyone else takes a three hour siesta in the middle of the day. It seems ridiculous and frustrating – and it is at times – but it’s also glorious. It exemplifies the fact that not everyone needs to be in a hurry to the grave. Sometimes it’s best to just take things slowly. They get done when they get done or they don’t get done. Does it really matter? I think this is the reason that Tenerife holds such a place in my heart. Even in these early days. I’ve left the stress of Moscow & London behind me and can now concentrate on taking life a bit slower for a while.